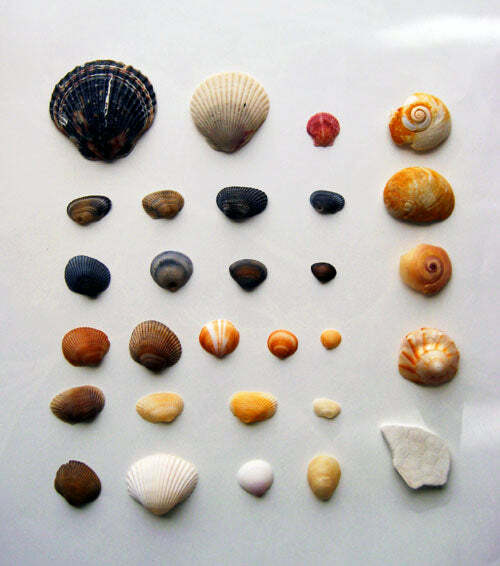 Living in Florida my whole life, I've accumulated quite a collection of shells. I have a jar full of them, and lots thrown on top of plants in flower pots. Yet every time I go to the beach I can't help but collect more. They are so pretty and cute. This photo captures the ones I've collected so far this Summer. I'm sure more will be added to it... most of them have holes in them for stringing, the allure of crafts always hanging in the air!